Here is a photo scan of the block I did for Patti in the DYB6 swap. Patti didn't specifically ask for a garden theme block but it is one of her passions in life so we all went that way. 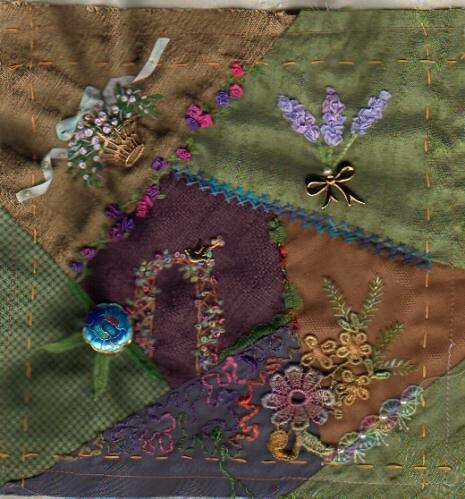 Also the colours that Patti used for her blocks seemed to really lend themselves to flowers and bright pinks and purples. It's lovely! You chose the perfect colors to go with the fabrics. My favourite spot is the little arbour surmounted with the dove.